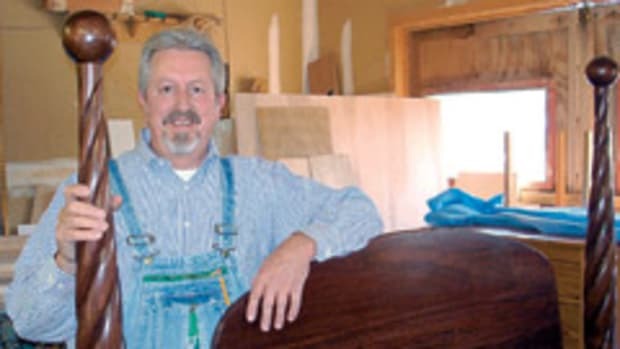 John Friel spent the last year renovating his woodshop in Cass, W.Va. His mission was to create a woodworking school that would accommodate individuals with physical disabilities. 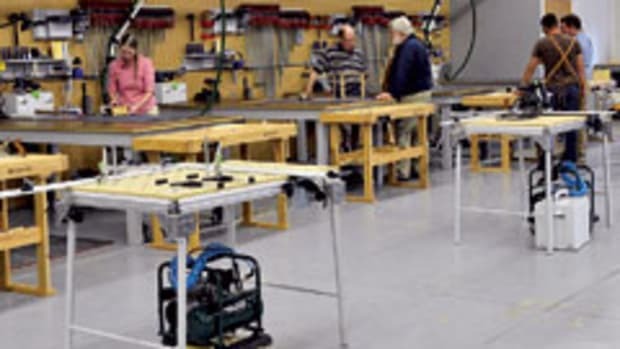 The vision has now become a reality, as the Friel Woodworking School officially opened in August. The 1,825-sq.-ft. shop, located in a rural mountain area, features modified machinery and a spacious floor layout. "Our mission is to improve the students&apos; quality of life through artistic productivity. 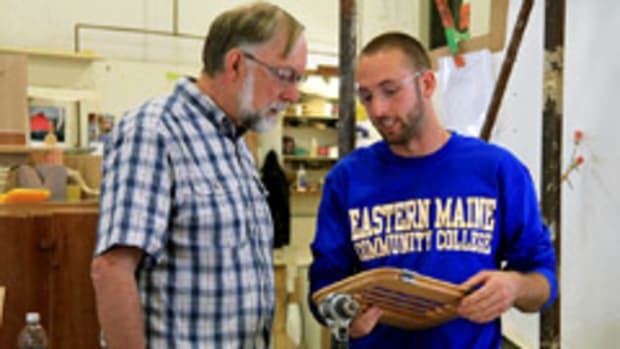 The casual and quiet mountain retreat offers students the chance to relax and unwind as they enjoy a learning experience in the age-old art of woodworking," says Friel, who will fill the role as one of three instructors at the school. The idea for the school came to Friel after he left his six-year teaching position at Pocahontas Woods in Marlinton, W.Va. 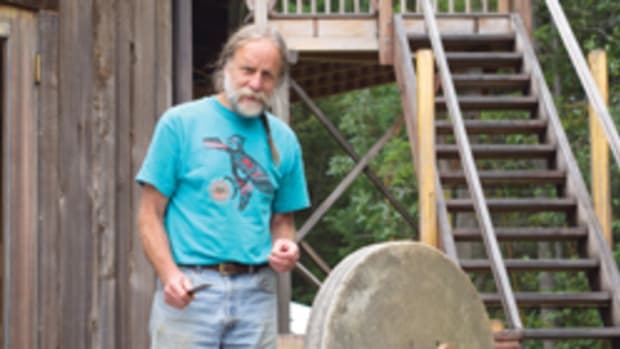 While at Pocahontas Woods, Friel was awed by the work and abilities of student Mikie Hefner. Hefner suffered a disabling injury in a construction accident years ago that resulted in a T12 spinal cord injury and left him paralyzed from the waist down. For two years, Friel observed how Hefner worked around his disability to create beautiful furniture and cabinetry. Hefner made unbelievable progress during his internship with little physical help from the staff. 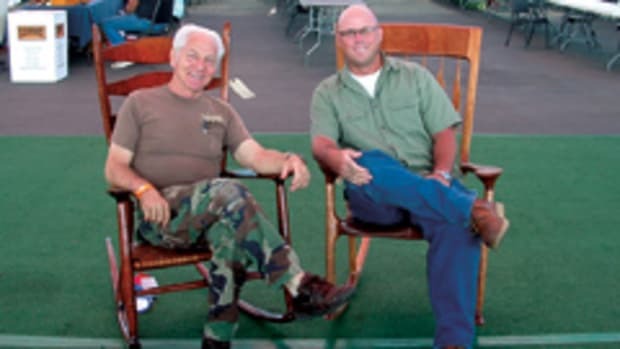 "This is the point that I realized that my woodworking career has grown to more than just being &apos;about me.&apos; It has grown to include others - others who give as well as take. What a wonderful cycle and I&apos;m glad to be part of it. It starts from giving and just keeps going," says Friel. "[Hefner] offered to volunteer as an instructor at my school so he could give other woodworkers the opportunity that he found, thus improving their quality of life." David Blanchard is the third instructor. As of early July, Friel reported he is actively recruiting students and has some good leads. He&apos;s currently engaged in promotional efforts such as working with a public relations firm that is developing press releases and advertisements for regional newspapers within a four-hour driving radius of the school. He is also attempting to reach his target students by announcing the school at national Independence expos. The expos are structured with programs for people with disabilities and individuals coping with aging. "We recently exhibited at the Independence Expo at Long Island, N.Y. while advertising the school and [attended] the expo in Orlando, Fla. on Aug. 7-8. This will set parameters for distant students as I can now concentrate on advertising to more local students within driving distance," says Friel, who adds the public&apos;s response at the New York expo revealed there is a strong interest in his school. A variety of classes will be offered, ranging from one to four days in length, as well as 16-day sessions for those interested in more advanced training. Classes and projects will be customized to the individual student&apos;s ability. 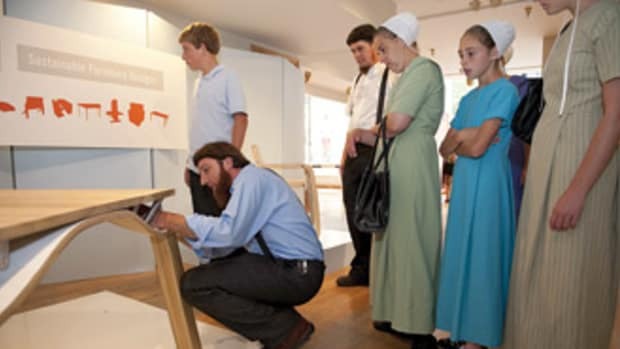 Projects could range from small Shaker oval boxes to full-sized furniture. Classes start at $185 for a one-day class. "We want to maintain a low instructor-to-student ration of about 3-to-1 and in many cases we will offer one-on-one sessions. We really want to individualize each program for the students." Friel says machinery modifications will be ongoing according to students&apos; needs to maximize any advantage possible in relation to the individual&apos;s injury. Open and accessible work areas are another critical part of the shop. 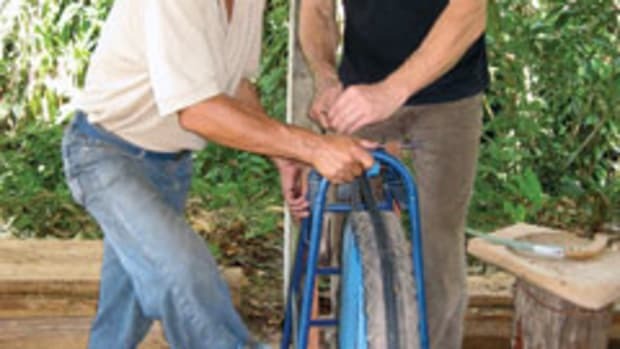 For example, workbenches will be designed especially for wheelchair access. "There are little things you do to maximize the use of the machines like adjust the heights for different cutting purposes, create wide-open space underneath the radial arm saw, or lower the head on a drill press for the individual to reach the controls." Hefner, for example, has a lot of trouble running a hand plane because he doesn&apos;t have the leverage he needs. 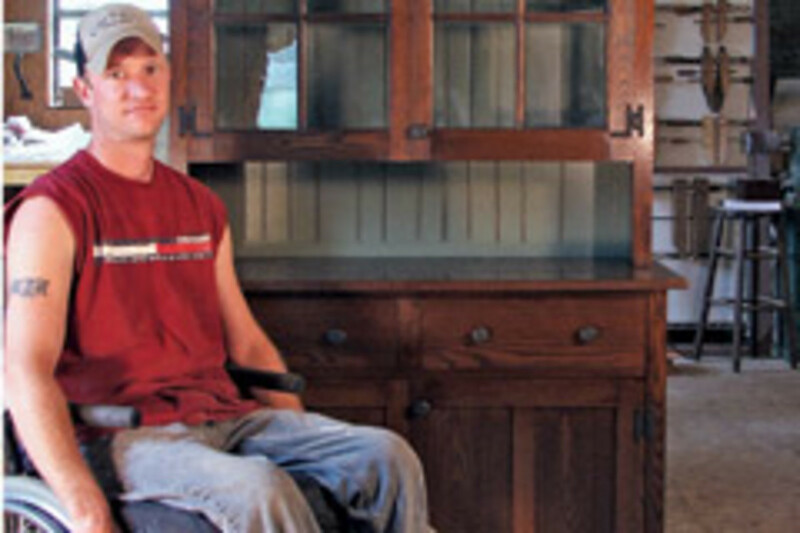 A woodworker who isn&apos;t paralyzed naturally uses his upper body and hips as energy into each stroke. "When [Hefner] pushes forward on a hand plane, it shoves his body back. So in order for him to really make that work, he has to really focus on the positioning of the workpiece and maximize what little bit of leverage he can get on it. Plus, if he can get an anchor with one hand, then he can use that anchor to pull against so he can create energy with the other hand." A lodging facility is scheduled to be constructed in early 2010 and it will be designed to accommodate disabled individuals. The school is also open to able-bodied students. However, priority is given to the disabled.